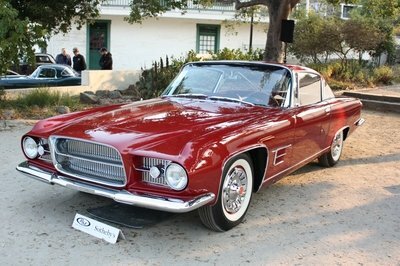 Three old Brits make a car show – how hard can it be? 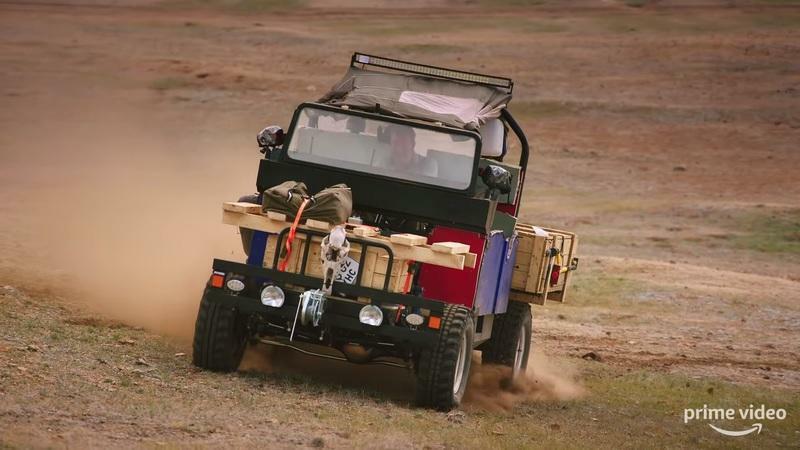 Called Survival of the Fattest, the latest episode of The Grand Tour takes us to sparsely populated Mongolia where our heroes embark on a long journey over perilous mountains, mighty rivers, and endless Gobi dunes in a homemade car. The mission is to reach the town called the Moron. They had to do it in seven days, only with British army rations as a diet, and a car delivered disassembled to them by a Russian Mil Mi-8 helicopter. It is one more The Grand Tour special - largely unscripted, emotional, funny, and just perfect. Here’s the Christmas present we were all looking forward to! 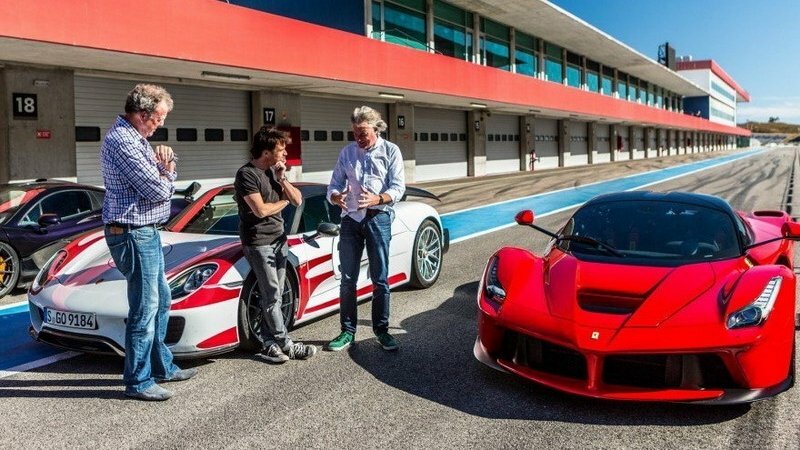 Earlier this year, there were rumors alleging that the third season was going to be the final run of The Grand Tour. However, Amazon has now confirmed that the show will have a fourth season with the same hosts, but many other key changes. Are these going to be good changes or bad changes? Good news for fans of The Grand Tour: The show is returning for a fourth season. 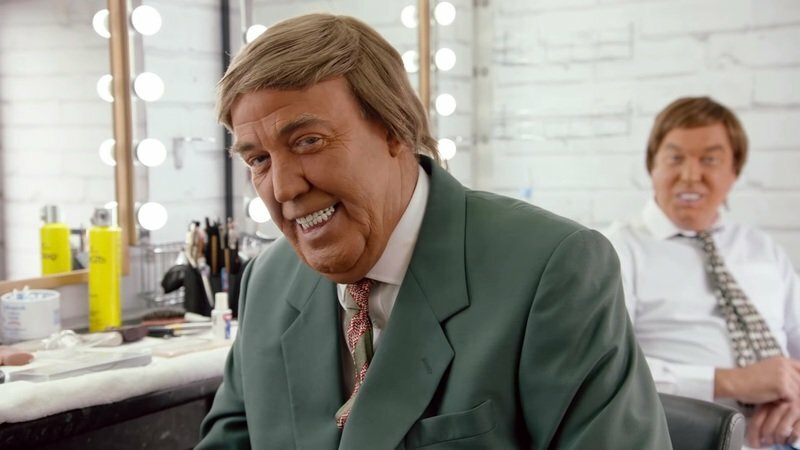 Bad news for fans of The Grand Tour: The show’s studio-dominated configuration is getting the heave-ho. That’s the word from Amazon, which announced the renewal of the hit motoring show for Season 4, albeit with big changes in the way for the upcoming season. There’s no timetable on when Season 4 comes out, but don’t expect it to air until 2020. Season 3 hasn’t even come out yet; that’s on schedule to première on January 18, 2019. The second season of the Grand Tour is the second-most streamed show in the U.K. Despite changing networks — ok, Amazon isn’t a traditional network — and continents, the trio of Jeremy Clarkson, Richard Hammond, and James May are still massively popular in the U.K. That much was proven by a report from British broadcasting regulator Ofcom, which revealed that the second season of The Grand Tour was the second-most streamed show in the U.K. The only show that beat it happens to be a 24-year old sitcom about buddies that ended its run 14 years ago. Outside of that, The Grand Tour’s popularity in the trio’s old stomping grounds is a good sign that their fans haven’t left their side. Is The Grand Tour In Trouble? The Lancia 037 holds a special place in the hearts of a lot of people. It’s one of those models that wasn’t supposed to exist, but homologation requirements obligated Lancia to build a little over 200 road-going models of the 037. The one you see here with Jeremy Clarkson is one of the 207 production 037s that were built. 35 years after it was produced, the Lancia 037 still looks as incredible as it’s always been. 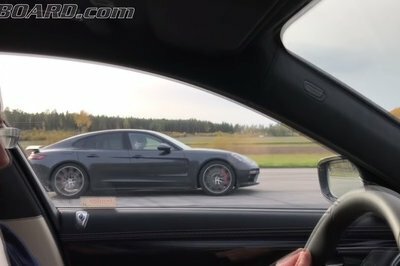 The video of Clarkson’s time behind the wheel of the 037 is short, but if you haven’t seen the full segment, it’s something that you need to watch. Rarely do we get to see the three hosts trade in their skits and crass humor for a compelling and insightful segment that tells a gripping story of a car’s history and impact in the industry. For whatever reason, The Grand Tour adopted this kind of approach in this segment. The result is arguably the best segment of the show’s second season, possibly even its entire run. 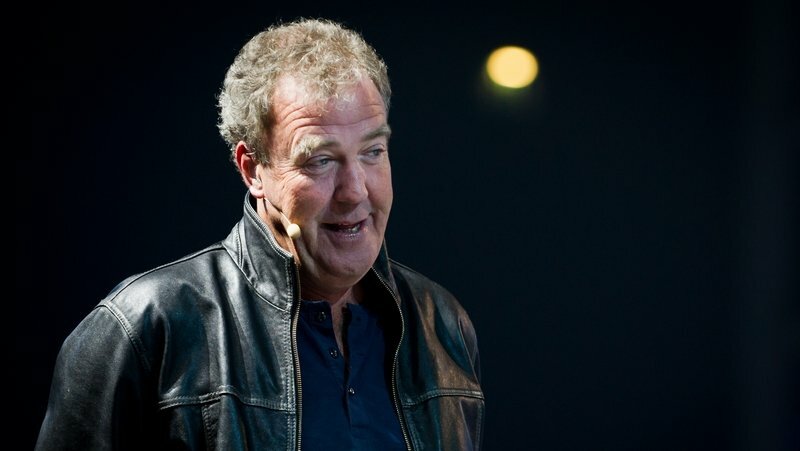 Brashness aside, Clarkson is regarded as an authority in the auto industry. Far too often, he doesn’t use that platform to really espouse the real stories behind some of the cars he reviews. This time, he did, and we appreciate him for it. 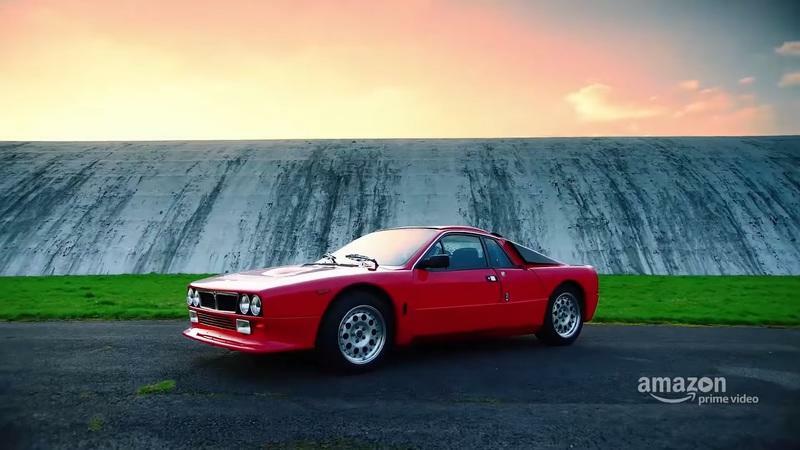 The Lancia 037 has a great story to tell, and for once, we’re pleased that Jeremy Clarkson was the one to tell it. Celebrity Special – Happy Birthday Richard Hammond! Hamster turns 48 today! Er, sorry, we mean 36! He turns 36 today! Richard Hammond is an English automotive writer, journalist, and television presenter best known for his work alongside Jeremy Clarkson and James May in Top Gear between 2002 and 2015, and as of 2016, The Grand Tour. Richard got his start in radio, working for a variety of BBC stations including Radio York, Radio Newcastle, Radio Cleveland, Radio Leeds, and Radio Lancashire. 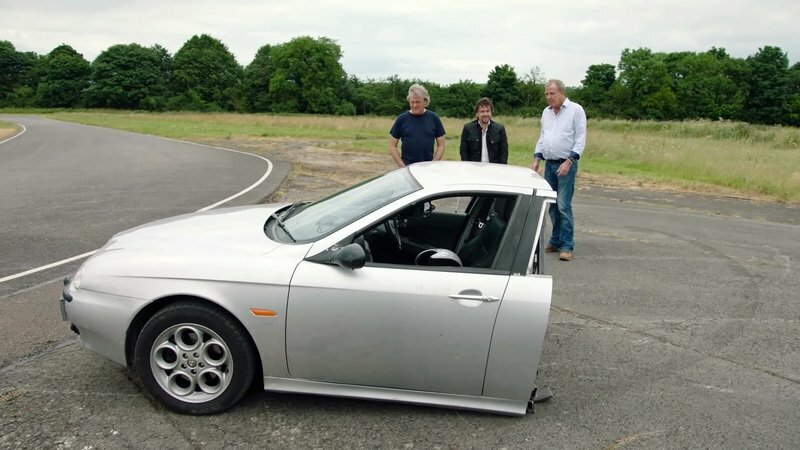 In 2002, Richard moved on to TV, and became part of the indivisible Top Gear trio with Clarkson and May. During his stint with the BBC, Richard worked on a variety of other shows, including Brainiac: Science Abuse, Crufts, Last Man Standing, and Total Wipeout, among others. In 2015, Hammond left Top Gear to work on The Grand Tour. As you might imagine from his resume, Richard has enjoyed a rather impressive (not to mention eclectic) car collection over the years. Just a smattering of standouts include a 1927 Sunbeam, a 1931 Lagonda, a Bentley S1, a 1963 Opel Kadett, a 1976 Toyota Corolla liftback, a 1969 Jaguar E-Type, a 1982 Porsche 911 SC, a 1994 BMW 850Ci, a 2009 Lamborghini Gallardo LP560-4 Spyder, a 2009 Morgan Aeromax, a 2009 Aston Martin DBS Volante, a 2015 Porsche 911 GT3 RS, a Volkswagen Type 2 Campervan, a Land Rover Defender-110, a pair of Land Rover Range Rovers, and a Willys Jeep, not to mention dozens and dozens of motorcycles. Richard also has a thing for American muscle, and owns a classic 1968 Ford Mustang GT 390, finished in Bullitt Green, as well as a 2008 Dodge Challenger SRT-8. He also owns and regularly flies an R44 helicopter. 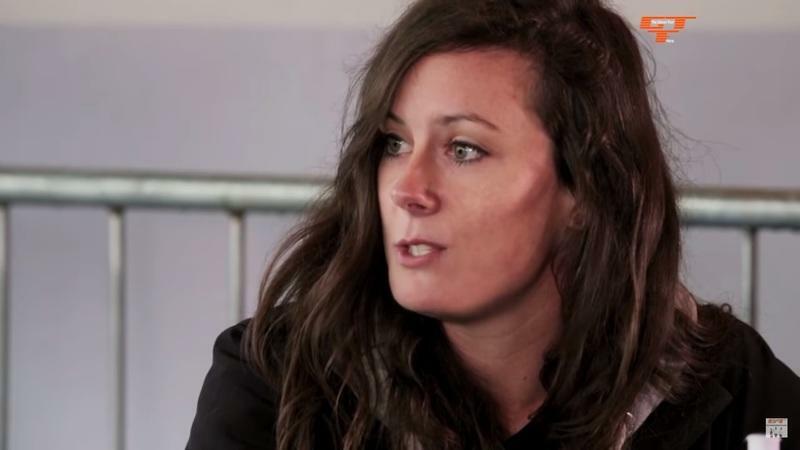 One of the biggest mysteries surrounding The Grand Tour’s second season was the identity of the show’s new tame race car driver. We didn’t get an answer in the first episode of the new season, but the reveal finally came in the second episode. In a surprising move, the show’s new test driver is actually a she, and her name is Abbie Eaton. The second season of The Grand Tour got off to a good start as the show didn’t waste any time showing the crash Richard Hammond had while driving the Rimac Concept_One in a hill climb competition in Switzerland. Some of the other segments were a little spotty, but it was still a pretty good episode. Now the boys are heading to our neck of the woods for the second episode, specifically in that urban jungle we all affectionately call New York City. The second season of The Grand Tour is now underway. If you didn’t get to watch the first episode, you missed one hell of a beatdown. 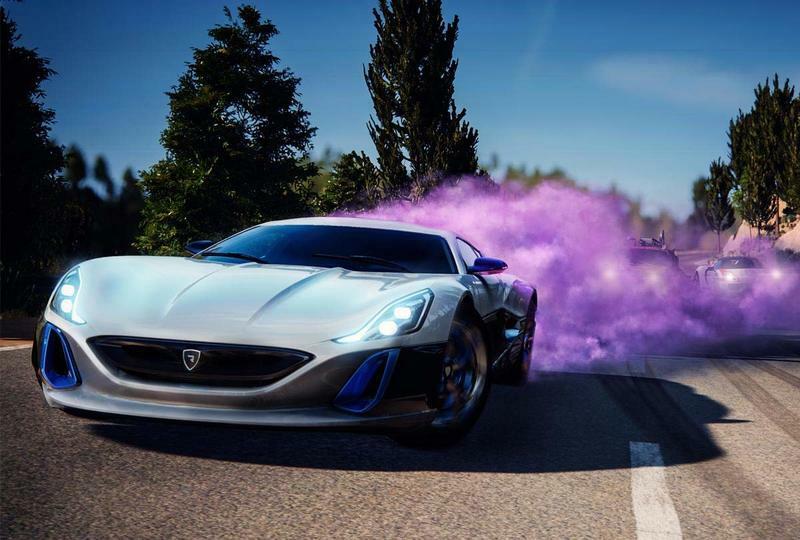 Administering the walloping was none other than the Rimac Concept One. The recipients? The Lamborghini Aventador S and the Honda NSX. 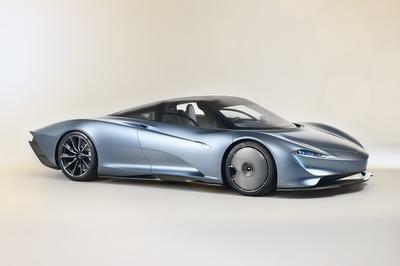 If you haven’t seen the video, here’s your chance to watch it and see just how inexplicably fast the Croation electric hypercar really is. 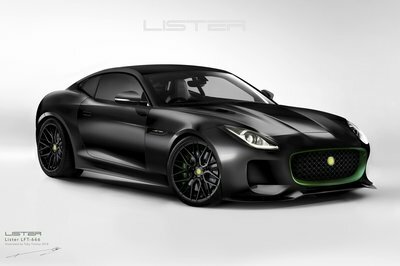 But if you’re a fan of either the Aventador or the NSX, you might want to turn away now. It doesn’t end well for both supercars. 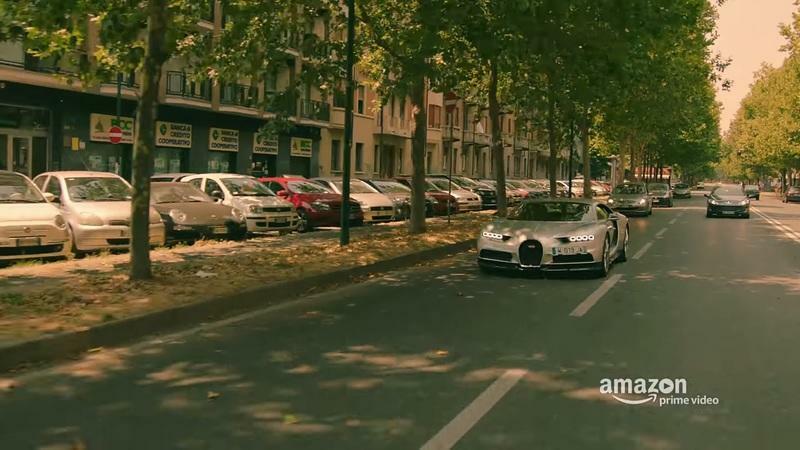 The Grand Tour Goes "More American"
Amazon is pulling out all the stops in promoting the second season of The Grand Tour. 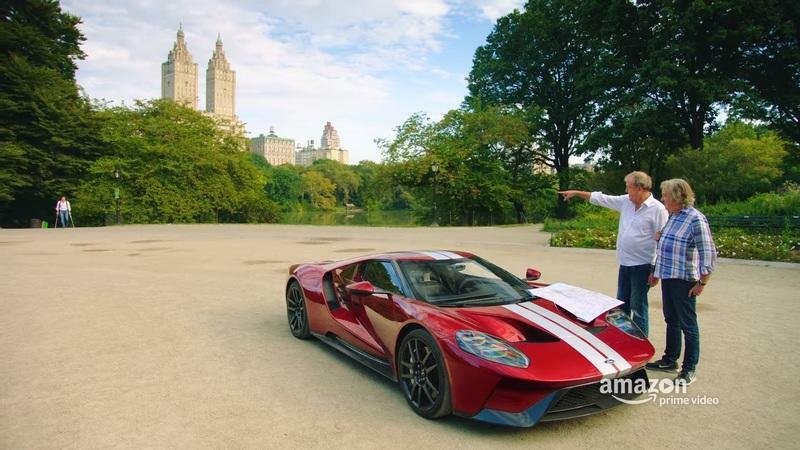 From the looks of things, that now includes an edict from no less than CEO Jeff Bezos to make the show’s three hosts — Jeremy Clarkson, James May, and Richard Hammond — look “more American.” The latest teaser of the show dives into that uncomfortable situation as Clarkson readily admits that he’s quintessentially British, right down to the “terrible teeth, lackluster hair, poor wardrobe, and a big gut.” So to appease the big boss, the three hosts trooped to the show’s makeup trailer to get their American makeovers. The results, as you can expect, are hilarious. 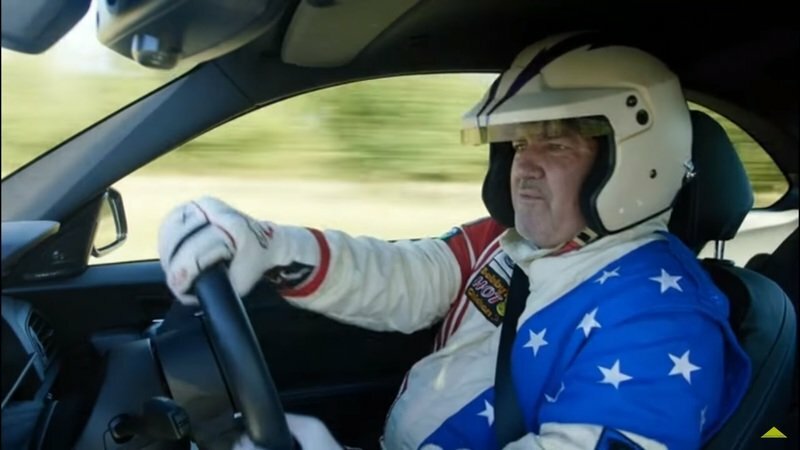 With only 11 days left before the premiere of The Grand Tour’s second season, the show remains without a test driver to replace The American. That predicament has forced some scrambling on the part of hosts, each of whom scoured the globe to find a suitable replacement for Mike “The Grinder” Skinner. 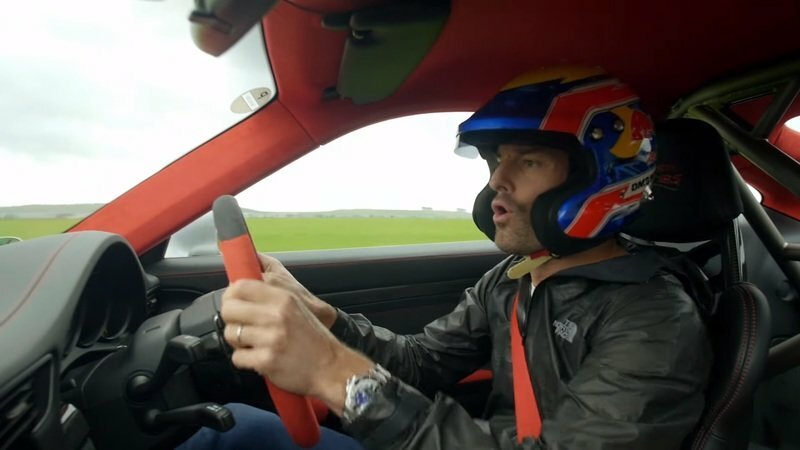 Jeremy Clarkson invited former F1 driver Mark Webber for an audition, only to find out that the current Porsche ambassador is incapable of driving anything that isn’t from his employer. With Clarkson’s choice out of the picture, James May and Richard Hammond stepped in to save the day. Or at least they tried to. Whether you liked the first season of The Grand Tour or not, there’s no denying that the motoring show brought out plenty of discussions and comparisons to the old Top Gear. One such debate centered around the two shows’ race drivers, namely The Stig and his US-born cousin, The American. Proving that a copycat can’t compare to the OG, a lot of critics panned the latter’s involvement in the show and among those people included Mike Skinner himself, the former NASCAR racer who played The American. Well, it turns out there’s more to the criticism than meets the eye because Skinner has announced that he won’t be part of the second season of The Grand Tour, creating another layer of intrigue surrounding the returning motoring show. Are you ready to welcome Clarkson, May, and Hammond back into your lives? The wait is officially over. The Grand Tour is back. Ok, so it’s not really back yet; that’s not happening until December 8, 2017, but the date is quite literally a little over a month away. So yes, the wait is over and the countdown to the start of the second season is officially a go. Amazon has even released a new trailer for the upcoming season and, while I can’t promise to be as excited as I was in the build-up from the first season, I can say that there’s plenty of promising bits this season that I’m already looking forward to seeing. But before that, there are some important matters to remind everyone. The format of the second season will largely remain the same, except for a few important items, including the whole concept of the show. Whereas last season literally brought the tent studio segment of the show to some of the most exotic locations in the world, that’s not happening anymore this year. Instead, that particular segment will now be set in just one location: the back garden of a country house that’s reportedly a few cartwheels away from Jeremy Clarkson’s home. Convenient as that may be for the presenter, the show will still have plenty of time dedicated to the global escapades of Clarkson, James May, and Richard Hammond. Over 100 days, in fact, or so says Amazon. Certainly, the new trailer for the second season shows the trio driving downhill a steep snowy mountain, racing across a desert, and mingling with locals in a country that escapes my thought at the moment. Traveling the world sounds fun, but even the saltiest of jet-setters can grow weary of perpetual motion. That seems to be the case with The Grand Tour, which just announced it will no longer be traveling with its massive curious tent to far-flung corners of the globe just to film its in-studio segments. Fear not – the tent will live on, (semi)-permanently erected in the Cotswolds, a rural area in south-central England, west of London. 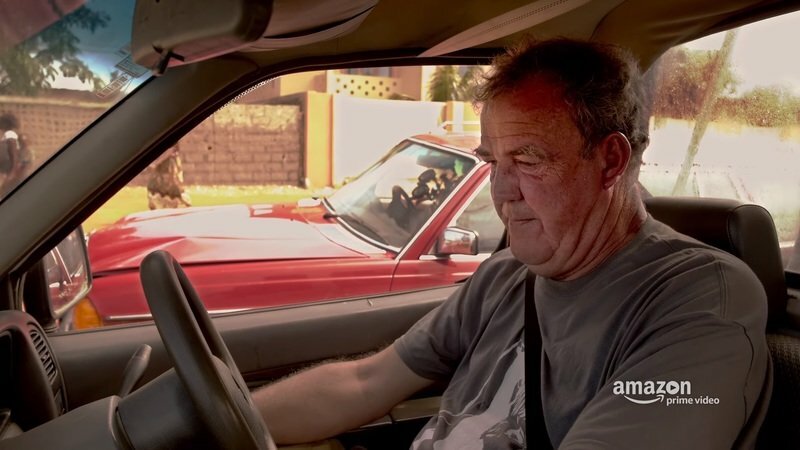 Thankfully, this means Clarkson, James, and May can now devote more time to traveling to far-flung places to actually drive stuff, leaving the relatively boring studio set back at home. According to The Drive, the trio has already traveled to Croatia, Switzerland, Dubai, Spain, and Mozambique for segments set to air this season. 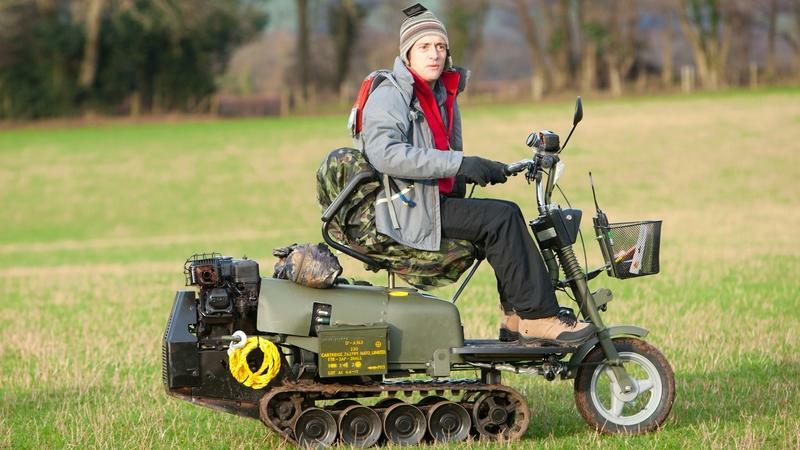 The Grand Tour’s executive producer, Andy Wilman, said, "We’ll keep the studio in one place, and given how accident prone they are at the minute, that can only be a good thing." Wilman is most certainly right about the accident-prone comment. Headlines were made when Richard Hammond nearly died in a fiery crash and Jeremy Clarkson almost met his maker due to a severe case of pneumonia. It’s probably best TGT not push its luck with Captain Slow. While this might disappoint some, The Drive points out a big positive brought by a stationary tent: attending the studio tapings will be a bit easier – that is if you can score tickets. What do you think? 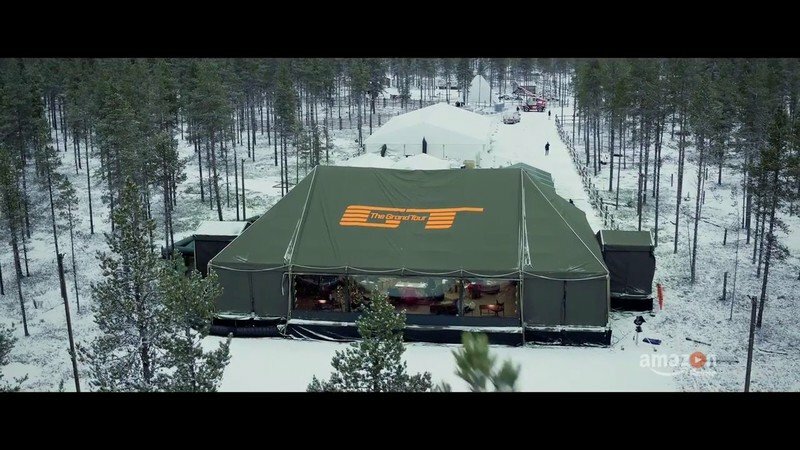 Will the tent’s stationary location detract from The Grand Tour, or will the show be better for it? Let us know in the comments below. Ahead of the release of the second season of The Grand Tour, the motoring show’s three hosts – Jeremy Clarkson, James May, and Richard Hammond – recently took time out from their presumably busy schedules to have a sit-down talk with British GQ. Like anything else that involves these guys, the 11-minute interview was eventful in so many different ways. Nobody got hurt, which is a good thing, but the trio did reveal plenty of new information about themselves and the environment surrounding them that most of us didn’t know, or at the very least, have been dying to ask. 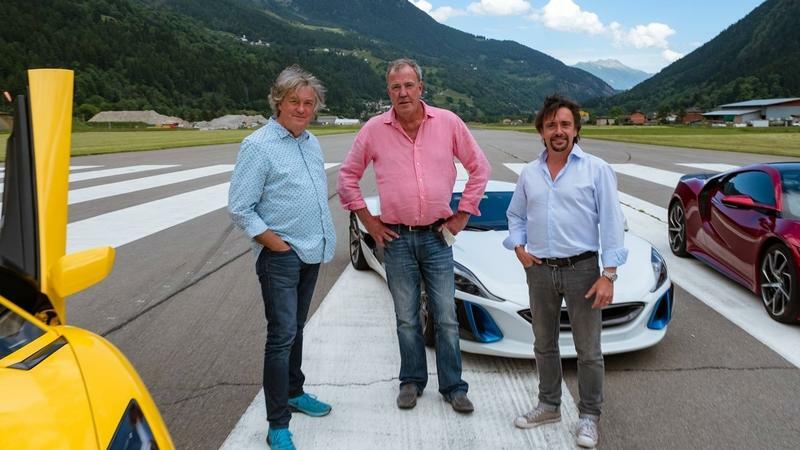 Obviously, the interview’s main focus was to highlight the return of The Grand Tour on Amazon Prime Video as the second season is reportedly scheduled to drop before the year ends. The conversation then stretched beyond the usual promos and plugs as the presenters were asked about the differences between working for the BBC as opposed. Not one to back down from tough questions, Clarkson gamely answered, lamenting how he missed the fun of annoying people at the BBC because he can’t do the same with Amazon, not because the latter frowns on it, but because, in his own words, they’re “un-annoyable.” Part of this is likely due to Amazon having a more relaxed working environment than the BBC, though it must also be said that the streaming service does have a lot invested in the success of The Grand Tour. 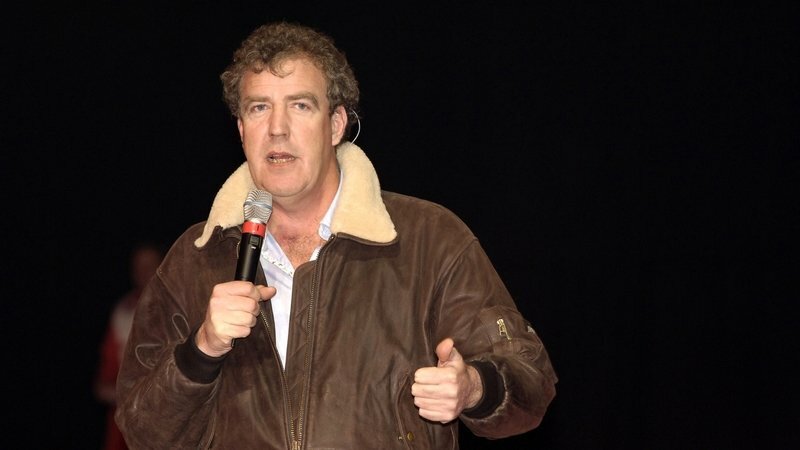 Speaking of which, the show’s rumored budget was also brought to the host’s attention, to which Clarkson responded by saying that the show’s budget isn’t actually far off from what Top Gear had during their era. “Broadly the same as it was before,” according to Clarkson. The interview covers more ground on a number of other topics, not the least of which is the surprising popularity, at least for them, of the hosts. In fact, May even recounted a story of Top Gear’s visit to Syria some years back. Who would’ve thought that not only were Clarkson, May, and Hammond famous in that country, but at least one local in a roadside hut somewhere in the country even knew May by his nickname, Mr. Slowly? If you have the minutes to spare, do check out the interview. I’m going to hell for this! Hey folks, did you miss me? Yeah, it’s me, Pops! What? Did you think I only write on Fridays? Although I hate early Tuesdays, I had to get out of my lazy routine over this fracas about Jeremy Clarkson being in the hospital with severe pneumonia. Don’t get me wrong, I think that being sick is awful, but we pay way too much attention to an old man that gets by making dreadful jokes about cars and insulting just about everyone with the sole purpose of getting a bigger audience. Although I’m a sucker for a good show with solid punchlines and great humor, I’ve never been a fan of Top Gear. And obviously, I’m not a fan of The Grand Tour. And, Clarkson is too blame for this. Yeah, I know, it’s a show that doesn’t take car reviews very seriously and making fun of everything is a big part of the plot, but I just feel as if they’re producing for an audience that’s 16 years old on average. Tops! But I digress. I’m writing this because Clarkson made a joke about how James May is the only "functioning member" of the Grand Tour team (Richard Hammond had a serious car crash in June) and added the caption "God help us." Keep reading to learn why. Former Top Gear host, current Grand Tour host, and habitual line stepper Jeremy Clarkson is reportedly out of commission for an undermined amount of time following his hospitalization for a severe case of pneumonia. According to a representative from Amazon, Clarkson was on a family vacation in Spain when he came down with the lung infection.